Sole agent : 10 minutes from Mougins - With a panoramic view countryside and village, comfortable villa of about 260 m ² offering a double reception, a large kitchen with dining area and pantry, a master bedroom with bathroom and dressing room, 2 bedrooms with shower room, an office / bedroom + shower room, a separate apartment with 2 bedrooms 1 living room with kitchen and 2 shower rooms, a wine cellar, a sauna, a closed garage 2 places + parking. 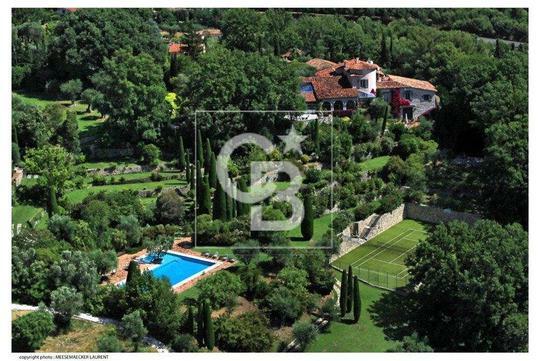 The whole on a ground of about 1500 m ² with pool and spa. To visit absolutely !